With the exception of a few dissenters, the first thousand years of the Church found a consensus among the Fathers on all the basic tenets of the faith, from Baptism, the Eucharist, and the role of Holy Tradition. These respected pastors and theologians of their day set the standard for what is considered biblical Christian teaching. While many religious leaders of today debate theology and biblical interpretation, few of them have taken the time to see what the early Church actually taught. The Apostolic Church Fathers were contemporaries of the apostles and were undoutably taught by them, allowing them to carry on the tradition and teaching of the apostles themselves as their direct successors. Ignatius of Antioch, and Clement and Polycarp, are clear examples of the Apostolic Fathers we Orthodox look to as our guides to proper Church teachings. 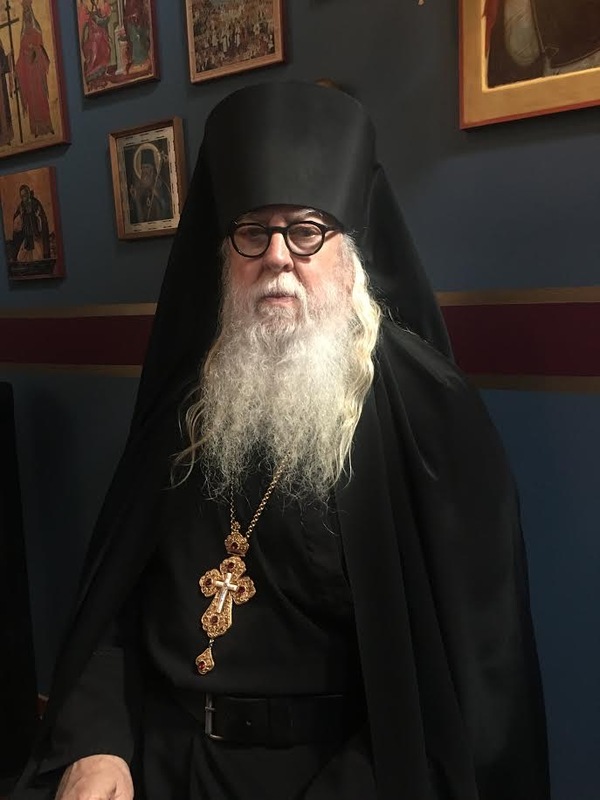 While the Church Fathers were not infallible, their widespread consensus on doctrinal issues, as well as the historic way of worshiping the Holy Trinity, are the reason we Orthodox can lay claim to being the Ancient Church preserved in these modern times. Photo: This is the Church of St. Igor of Chernigov in Peredelkino (a suburb of Moscow), Russia. 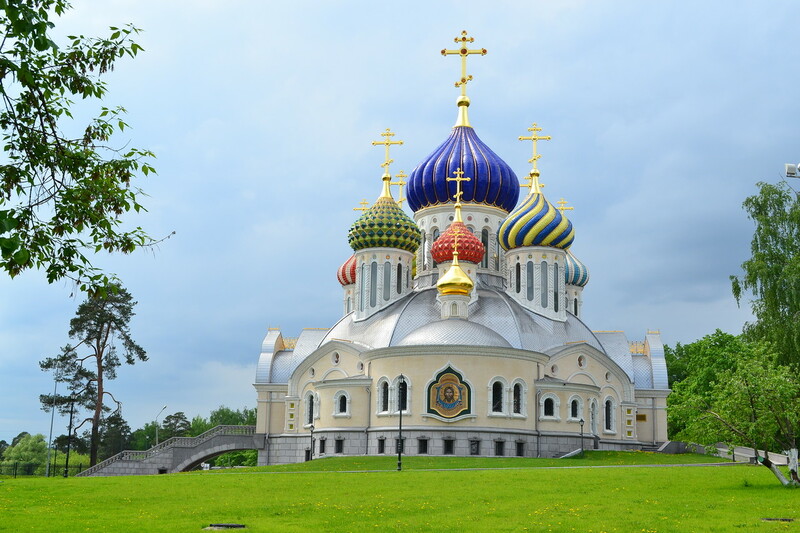 Consecrated in 2012, it has a capacity of 1,200 and is considered a “jewel” of this era of Orthodox architecture in Russia. Holy and All-praised Apostle Philip (1st c.). New Hieromartyrs Demetrius, Alexander, Victor, Alexis, Michael, Michael, Theodore, Peter, Alexis, Sergius, Nicholas, Basil, Alexander, Nicholas, Demetrius, Demetrius, Porphirius, Basil, George, Basil, Sergius priests, Nicholas deacon, New Hieromartyr Aristrah, Martyr Gabriel and Virgin-martyr Anna (1937). New Hieromartyr Theodore priest (1940). New Hieromartyr Sergius priest (1941). Venerable Philip, abbot of Irap near Novgorod (1527). St. Justinian the Emperor of Byzantium (565) and his wife St. Theodora (548). St. Gregory Palamas, archbishop of Thessalonica (1360). New Martyr Constantine of Hydra (Mt. Athos) (1800) (Greek). St. Dyfrig (Dubricius), bishop in Hereford and Gwent, hermit of Bardsey Island (ca. 550) (Celtic & British). St. Malo (Machulus) of Brittany (7th c.) (Celtic & British). New Martyr Panteleimon the Youth of Asia Minor (Greek). St. Alberik, bishop of Utrecht (784) (Neth.). Repose of St. Alexander Nevsky (Alexis in monasticism) (1263). 24 This is the disciple who testifies of these things, and wrote these things; and we know that his testimony is true. 25 And there are also many other things that Jesus did, which if they were written one by one, I suppose that even the world itself could not contain the books that would be written. Amen. 11 But refuse the younger widows; for when they have begun to grow wanton against Christ, they desire to marry, 12 having condemnation because they have cast off their first faith. 13 And besides they learn to be idle, wandering about from house to house, and not only idle but also gossips and busybodies, saying things which they ought not. 14 Therefore I desire that the younger widows marry, bear children, manage the house, give no opportunity to the adversary to speak reproachfully. 15 For some have already turned aside after Satan. 16 If any believing man or woman has widows, let them relieve them, and do not let the church be burdened, that it may relieve those who are really widows. 17 Let the elders who rule well be counted worthy of double honor, especially those who labor in the word and doctrine. 18 For the Scripture says, “You shall not muzzle an ox while it treads out the grain,” and, “The laborer is worthy of his wages.” 19 Do not receive an accusation against an elder except from two or three witnesses. 20 Those who are sinning rebuke in the presence of all, that the rest also may fear. 25 Now great multitudes went with Him. And He turned and said to them, 26 “If anyone comes to Me and does not hate his father and mother, wife and children, brothers and sisters, yes, and his own life also, he cannot be My disciple. 27 And whoever does not bear his cross and come after Me cannot be My disciple. 28 For which of you, intending to build a tower, does not sit down first and count the cost, whether he has enough to finish it— 29 lest, after he has laid the foundation, and is not able to finish, all who see it begin to mock him, 30 saying, ‘This man began to build and was not able to finish’? 31 Or what king, going to make war against another king, does not sit down first and consider whether he is able with ten thousand to meet him who comes against him with twenty thousand?32 Or else, while the other is still a great way off, he sends a delegation and asks conditions of peace. 33 So likewise, whoever of youdoes not forsake all that he has cannot be My disciple. Thank you for this blog. I have made it part of my morning devotions.